Credit cards frequently offer large sign-up bonuses to try and entice new customers. Opening a new credit card and earning these bonuses is the fastest way to build your stocks of credit card rewards, hotel loyalty points, and frequent-flyer miles. This April, 2019, there are a few fantastic limited-time bonuses available on co-branded credit cards, including from IHG and Marriott. There’s also a limited-time bonus on the United Airlines credit card from Chase. The Chase Sapphire Preferred Card raised its sign-up bonus for the first time since 2015 from 50,000 points to 60,000 – its highest-ever. The fastest way to earn rewards points, cash back, and frequent-flyer miles is to open a new credit card and earn its sign-up or welcome bonus. Credit card issuers like Chase and AmEx offer huge bonuses to attract customers, while designing card features with long-term, continuing value in an effort to keep them. This offers consumers a chance to take advantage of these bonuses, perks, and features. You can read more about earning new card-member bonuses and how that will affect your credit score here, or scroll down to find some of the best offers available this month. Keep in mind that we’re focusing on the rewards and perks that make these credit cards great options, not things like interest rates and late fees, which can far outweigh the value of any rewards. Sign-up bonus: Up to 60,000 United miles (40,000 after spending $2,000 in the first three months, and an additional 20,000 miles after spending a total of $8,000 in the first six months). Ends May 16. 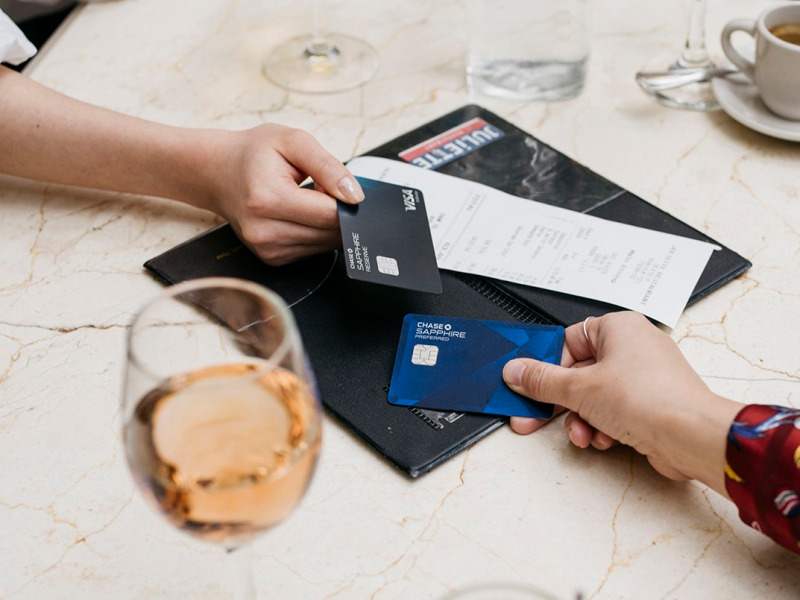 Last year, United and Chase re-launched their co-branded credit card, slightly changing the name, but more importantly, tweaking the benefits and improving how the card earns points. Previously, the card earned 2x miles on every dollar spent with United Airlines and 1x dollar on everything else. Now, the card also earns 2x points at restaurants and hotels. This sign-up bonus is one of the better public offers we’ve seen on this card, given the spending requirement, but it’s only available until May 16. The card offers a free checked bag when you use your card to purchase your tickets, priority boarding as long as you have the open card attached to your MileagePlus account, 25% off in-flight purchases, and a fee credit to cover your application to Global Entry or TSA PreCheck. The United Explorer also has two benefits that are unique among US airline credit cards in the same class. First, you’ll get two complimentary United Club lounge passes each year. In the lounges, you can enjoy comfortable seating, Wi-Fi, free food and drinks, and more before your flight. Normally, one-time entry to a United Club would cost $59 if you didn’t have a membership. Second, although this is an unpublished benefit, United cardholders also get access to more saver award space than other United members – that makes it easier to find good flights when it’s time to use your miles. The card’s sign-up bonus was just raised for the first time since 2015 – it’s now 60,000 Ultimate Rewards (UR) points. That’s worth, at the very least, $600 as cash back or gift cards. However, if you book travel through the Chase Ultimate Rewards portal and use points to pay, you’ll get a 25% bonus, making points worth 1.25 cents each. That means that the sign-up bonus would be worth $750. Even more lucrative – the Chase Sapphire Preferred lets you transfer your UR points to a few different frequent-flyer and hotel-loyalty programs. This comes in handy because in many cases it costs fewer points to book a trip if you go through one of those programs, as opposed to using the points as cash. You can read more about why transferring points to frequent-flyer programs gets you more value here. This all comes for a fairly standard annual fee of $95, which is not waived the first year. Click here to learn more about the Sapphire Preferred from Insider Picks’ partner, The Points Guy. The biggest changes under February’s rebrand came to the Bonvoy’s rewards credit cards, which are issued by American Express and Chase. To mark the occasion, both are offering a big, limited-time promotion on the personal cards they issue. AmEx issues the premium version of Marriott’s credit cards, the Marriott Bonvoy Brilliant American Express Card, formerly called the SPG Luxury Card. Until April 24, new cardholders can earn 100,000 Marriott Bonvoy points when they spend $5,000 on the card in the first three months. While the card has a high $450 annual fee, it’s easy to get much more value from it than you pay for that fee – especially if you stay at Marriott hotels semi-frequently. The card earns 6x points at Marriott hotels, 3x points at US restaurants and on flights booked directly with the airline, and 2x points on everything else. Sign-up bonus: 100,000 Marriott Bonvoy points (after spending $5,000 in the first three months). Only available for a limited time. 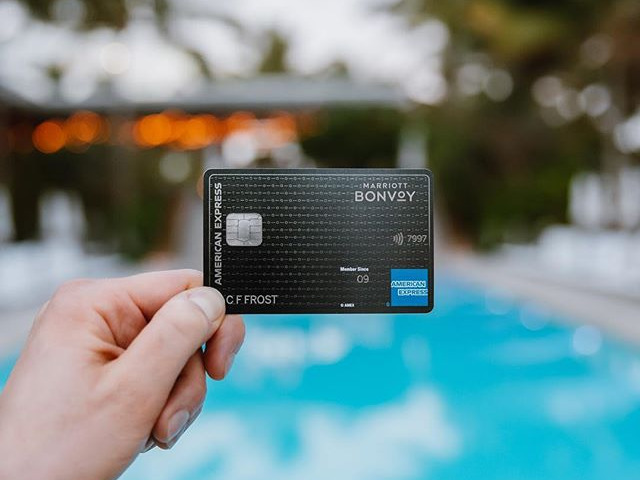 Between the yearly $300 of credits and the annual anniversary free night, the Bonvoy Brilliant card from AmEx tends to represent a better deal for cardholders. However, the downside to that card is that you’ll have to pay a $450 annual fee. Sure, you’ll get the value back from the various benefits and rewards, but you’ll still have to float that fee at the top of each calendar year. For people who find that unappealing, Chase offers the mainstream version of the personal card: the Marriott Bonvoy Boundless credit card. The Bonvoy Boundless currently offers the same welcome bonus as the Bonvoy Brilliant – unlike with the Brilliant’s, we don’t know the Boundless offer’s end date, but we do know it’s only available for a limited time. Like the Brilliant, the Boundless offers a free night award each year on your cardholder anniversary; the difference is that it’s only good on rooms that would cost up to 35,000 points per night, rather than 50,000. Fortunately, that still includes plenty of properties. The Boundless card comes with complimentary Silver elite status. Silver doesn’t get you as much as Gold, but it’s still something. You’ll get a 10% bonus on points earned, priority for late checkout, access to a dedicated customer service line, free Wi-Fi, and more. While it’s not a published benefit, you may also be given preferential rooms. You can get Gold status if you spend $35,000 or more in a calendar year. You’ll also get 15 qualifying nights’ worth of elite credit each calendar year, making it easier to earn Gold status or higher through hotel stays. The card earns 6x points per dollar spent at Marriott hotels, and 2x points per dollar on everything else. 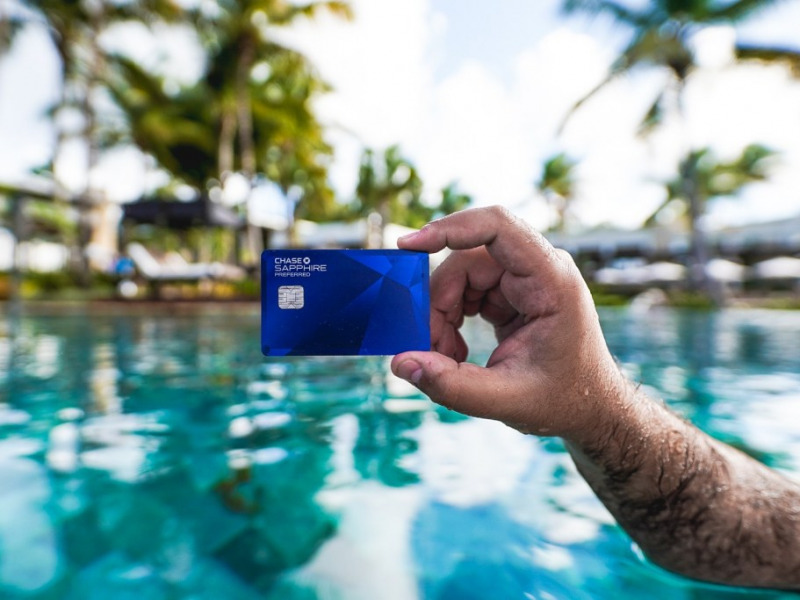 Click here to learn more about the Marriott Bonvoy Boundless card from Insider Picks’ partner, The Points Guy. Sign-up bonus: Up to 120,000 points (80,000 points after spending $2,000 in the first three months; an additional 40,000 points after spending a total of $5,000 in the first six months). IHG’s Rewards Club program is often overlooked – I know I’m guilty of passing it over without a second look in favor of Hilton Honors or Marriott Bonvoy (and back in the day, Starwood Preferred Guest). Right now, the IHG Rewards Club Premier card has a sign-up bonus of up to 120,000 points that is broken up into two parts. First, you’ll earn 80,000 points if you spend $2,000 in the first three months. Then, you’ll earn the remaining 40,000 points when you spend an additional $3,000 within the first six months (for a total of $5,000). Rooms can cost as little at 10,000 points per night, depending on the property and its location within a city. The bonus is enough to cover almost two weeks’ worth of nights at a Holiday Inn Express – even some in prime markets – or two to four nights at top InterContinental locations. The card earns 10x points per dollar spent at IHG hotels, 2x points per dollar spent at gas stations, grocery stores, and restaurants, and 1x point on everything else. It also comes with automatic Platinum elite status, which entitles you to a 50% bonus on points earned during a stay, complimentary room upgrades, late checkout when available, and guaranteed room availability with 72 hours’ notice – helpful if you have a last-minute trip. The Premier card offers an annual anniversary free night certificate that can be used at any category 1-7 hotel (hotels that cost 40,000 points per night or less). While that means that some of IHG’s most premium locations are excluded, the certificate is still valid at a ton of locations all around the world. For instance, I didn’t have trouble finding properties in major cities like New York and Chicago during peak travel season – all charging well upward of $200 – that accept the free night certificate. That more than makes up for the card’s $89 annual fee. Click here to learn more about the IHG Rewards Club Premier from Insider Picks’ partner: The Points Guy. The card earns Membership Rewards points, the currency in AmEx’s loyalty program, which can be exchanged for statement credits or cash back, used to book travel through AmEx’s travel website, or, to get the most value, transferred to any of 17 airline and three hotel transfer partners (transferable points are among the best). Travel website The Points Guy lists a valuation of 2¢ per membership rewards point; based on that, the welcome offer is worth about $1,200. The Platinum Card earns an incredible 5x points on airfare purchased directly from the airline, and offers an airline fee credit of up to $200 each calendar year, and up to $200 in Uber credits each card member year. It also grants the cardholder access to more than 1,200 airport lounges around the world, including Delta Sky Clubs and AmEx’s own Centurion Lounges. Other benefits include automatic Gold elite status in the Marriott and Hilton loyalty programs, a statement credit up to $100 to cover enrollment in Global Entry/TSA PreCheck, concierge service, access to exclusive events, and much more. 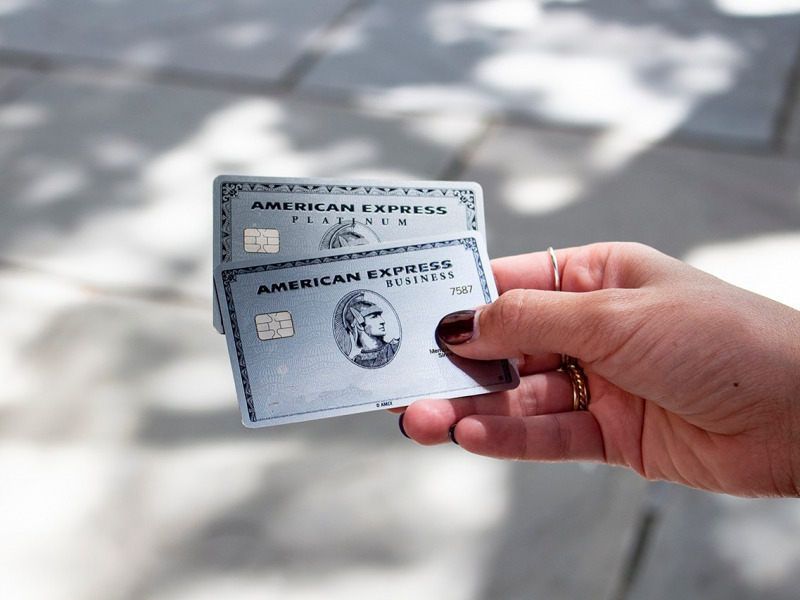 Click here to learn more about the American Express Platinum from Insider Picks’ partner, The Points Guy. This card from Wells Fargo has one of the more attractive rewards offerings you’ll find from a no-annual-fee card. 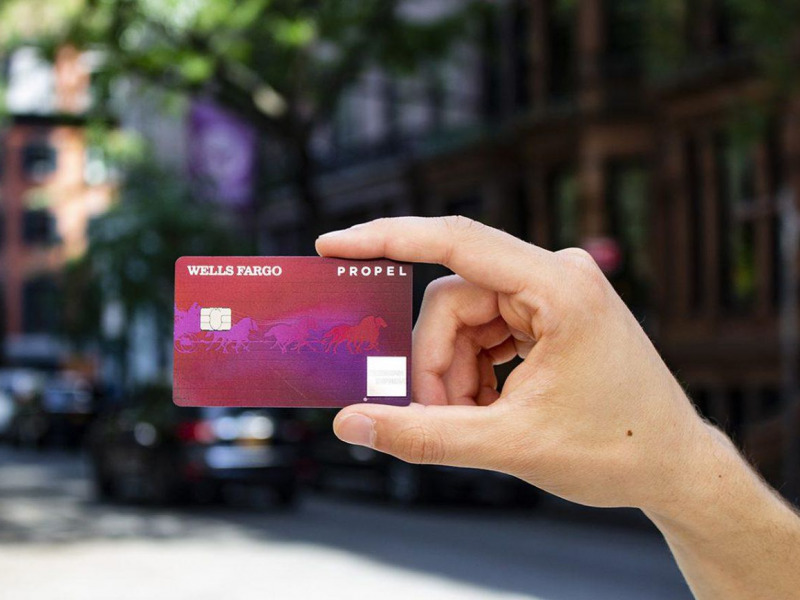 The current Propel card is a relaunch of an old product – Wells Fargo stopped accepting applications for the old card a year ago, before announcing the new product and reopening applications this summer. There are key differences between the cards. The Propel lets you redeem points for 1¢ each toward cash back, merchandise, travel, or more, while the Sapphire Reserve offers a range of more valuable redemption options – it’s easy to get at least 50% more value for Chase points. Plus, the Sapphire Reserve offers a number of premium perks that the Propel doesn’t, like airport lounge access, a $300 annual travel credit travel delay insurance, and more. Click here to learn more about the Wells Fargo Propel card from Insider Picks’ partner, The Points Guy.